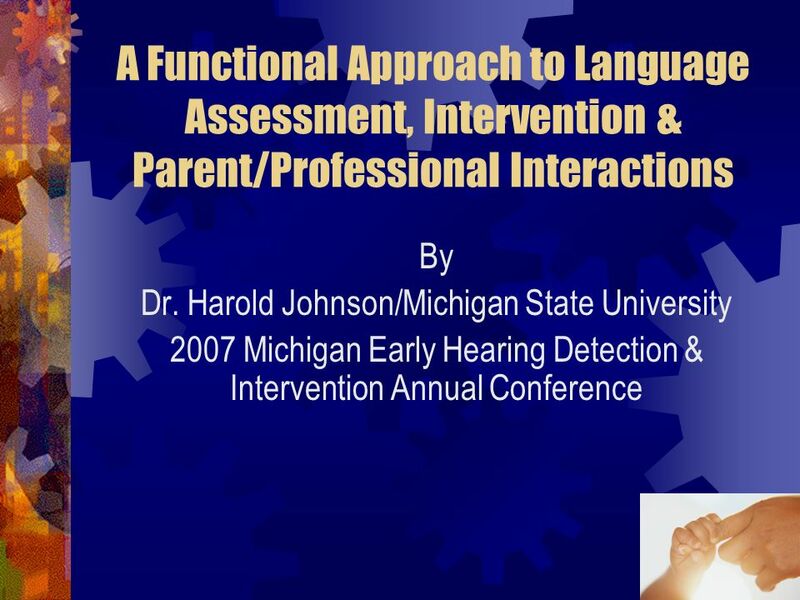 1 A Functional Approach to Language Assessment, Intervention & Parent/Professional Interactions By Dr. Harold Johnson/Michigan State University 2007 Michigan. 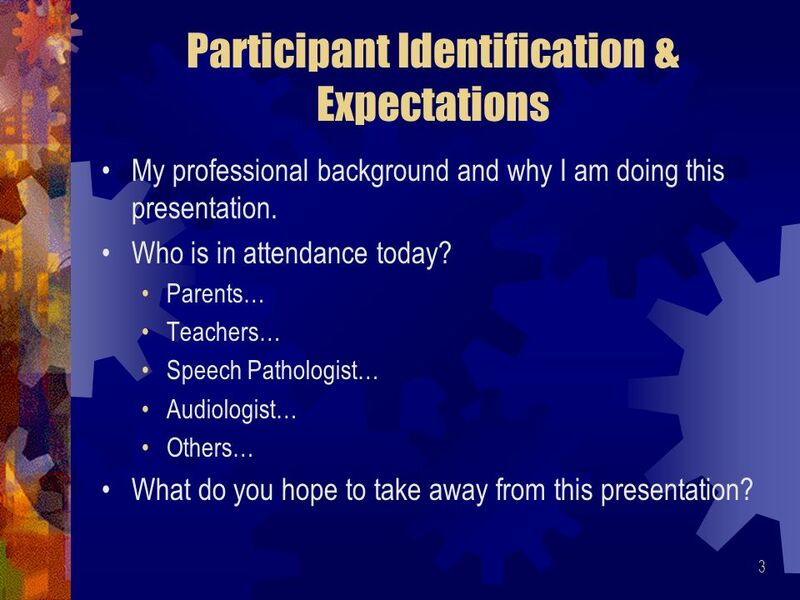 3 3 Participant Identification & Expectations My professional background and why I am doing this presentation. Who is in attendance today? 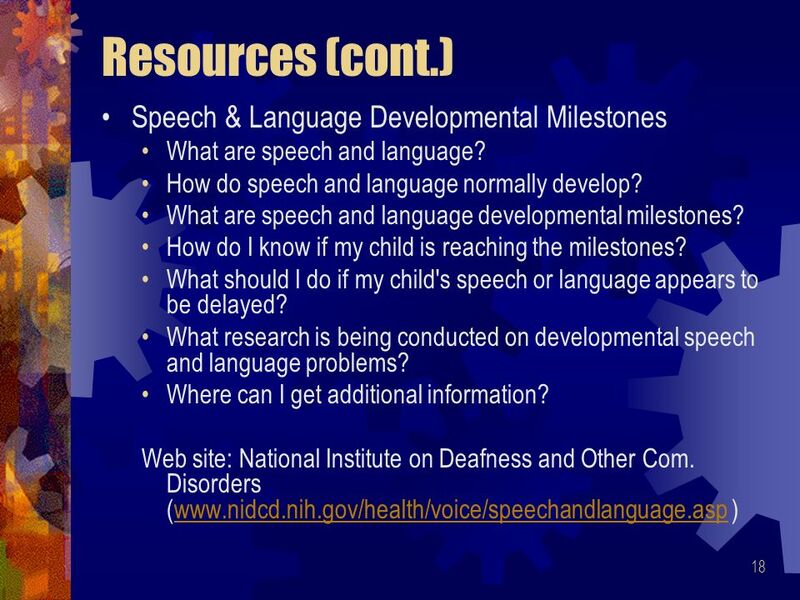 Parents… Teachers… Speech Pathologist… Audiologist… Others… What do you hope to take away from this presentation? 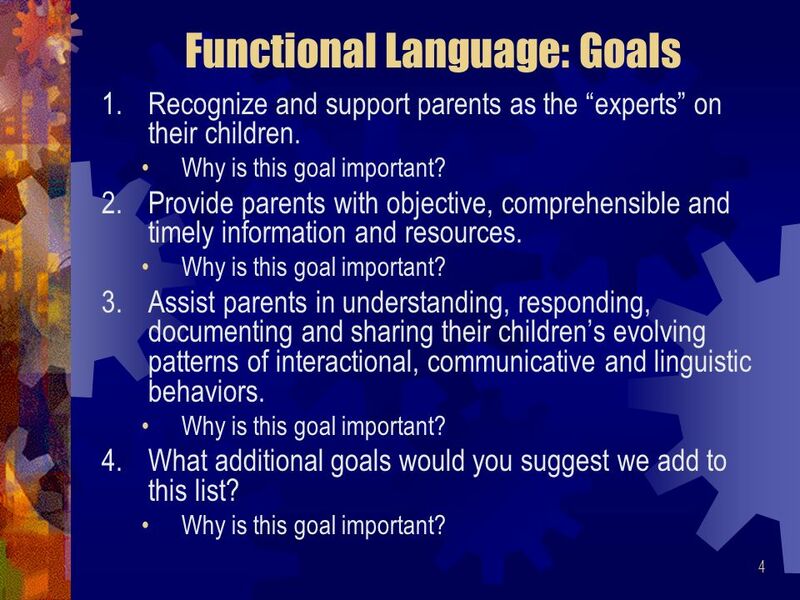 4 4 Functional Language: Goals 1.Recognize and support parents as the experts on their children. Why is this goal important? 2.Provide parents with objective, comprehensible and timely information and resources. Why is this goal important? 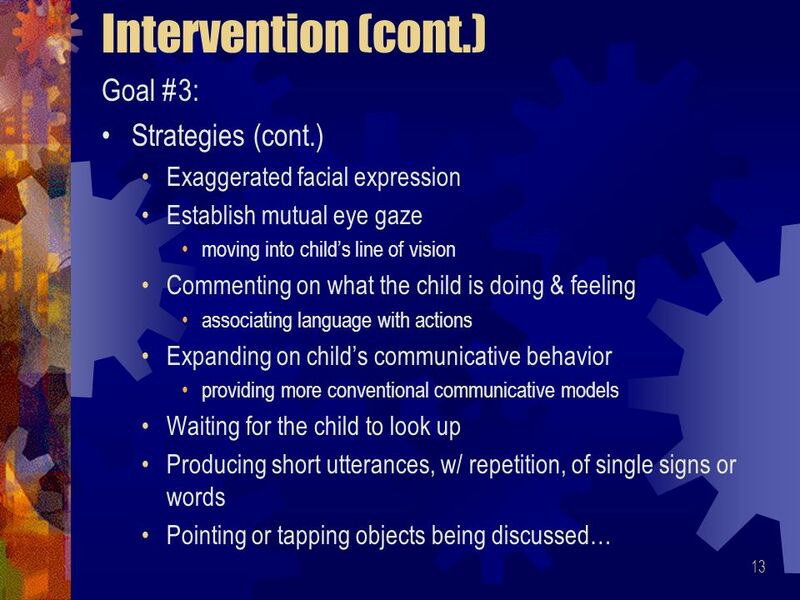 3.Assist parents in understanding, responding, documenting and sharing their childrens evolving patterns of interactional, communicative and linguistic behaviors. Why is this goal important? 4.What additional goals would you suggest we add to this list? Why is this goal important? 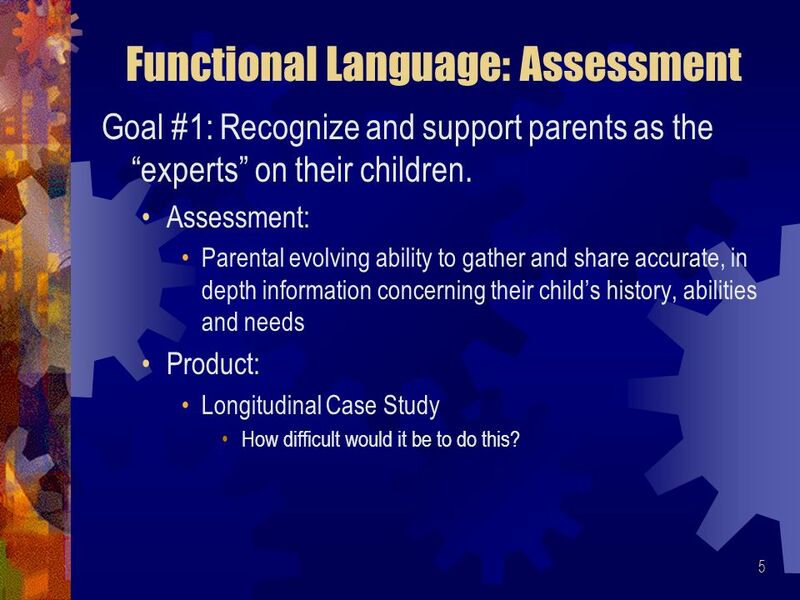 5 5 Functional Language: Assessment Goal #1: Recognize and support parents as the experts on their children. Assessment: Parental evolving ability to gather and share accurate, in depth information concerning their childs history, abilities and needs Product: Longitudinal Case Study How difficult would it be to do this? 6 6 Assessment (cont.) 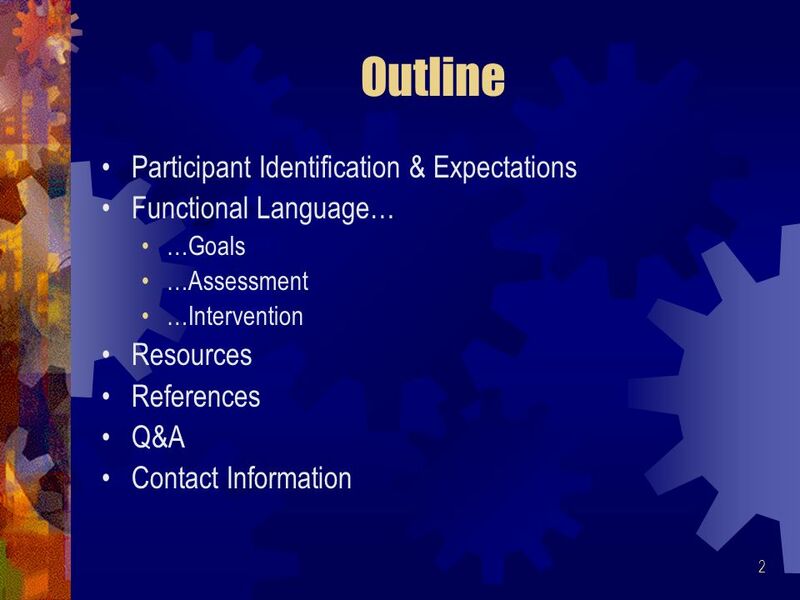 Goal #2: Provide parents with objective, comprehensible and timely information and resources. 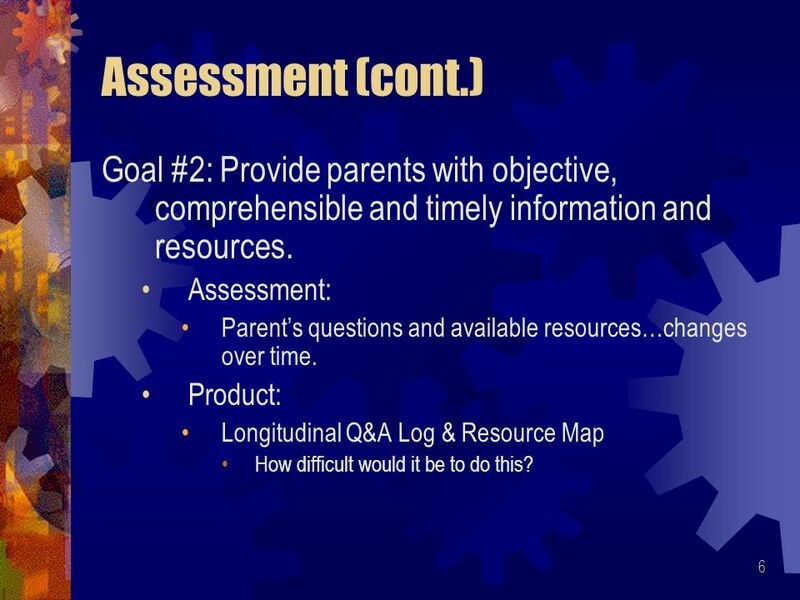 Assessment: Parents questions and available resources…changes over time. Product: Longitudinal Q&A Log & Resource Map How difficult would it be to do this? 8 8 Assessment (cont.) 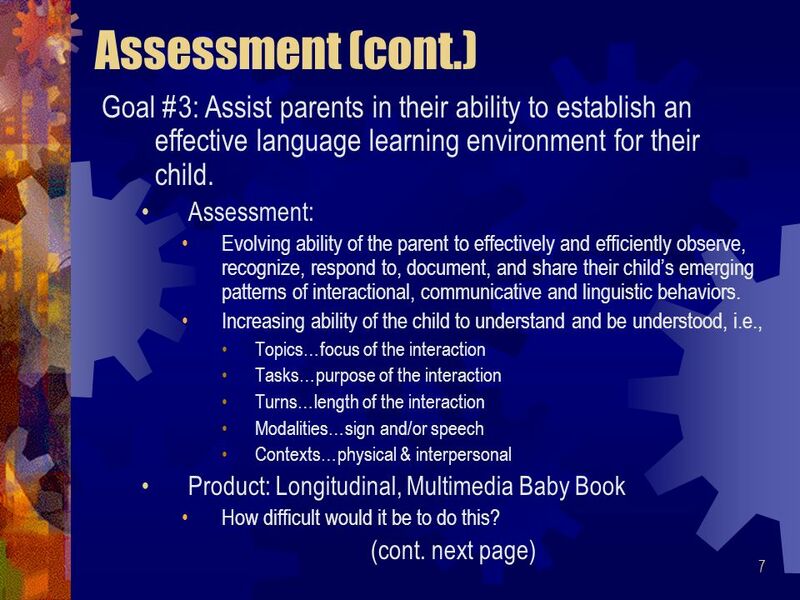 Goal 3: Assessment (cont.) 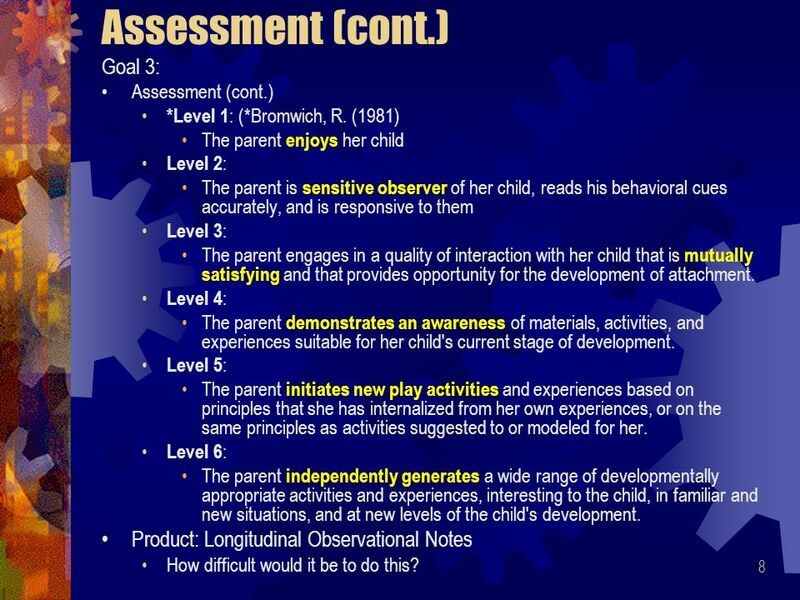 *Level 1 : (*Bromwich, R. (1981) The parent enjoys her child Level 2 : The parent is sensitive observer of her child, reads his behavioral cues accurately, and is responsive to them Level 3 : The parent engages in a quality of interaction with her child that is mutually satisfying and that provides opportunity for the development of attachment. Level 4 : The parent demonstrates an awareness of materials, activities, and experiences suitable for her child's current stage of development. Level 5 : The parent initiates new play activities and experiences based on principles that she has internalized from her own experiences, or on the same principles as activities suggested to or modeled for her. Level 6 : The parent independently generates a wide range of developmentally appropriate activities and experiences, interesting to the child, in familiar and new situations, and at new levels of the child's development. Product: Longitudinal Observational Notes How difficult would it be to do this? 9 9 Assessment (cont.) 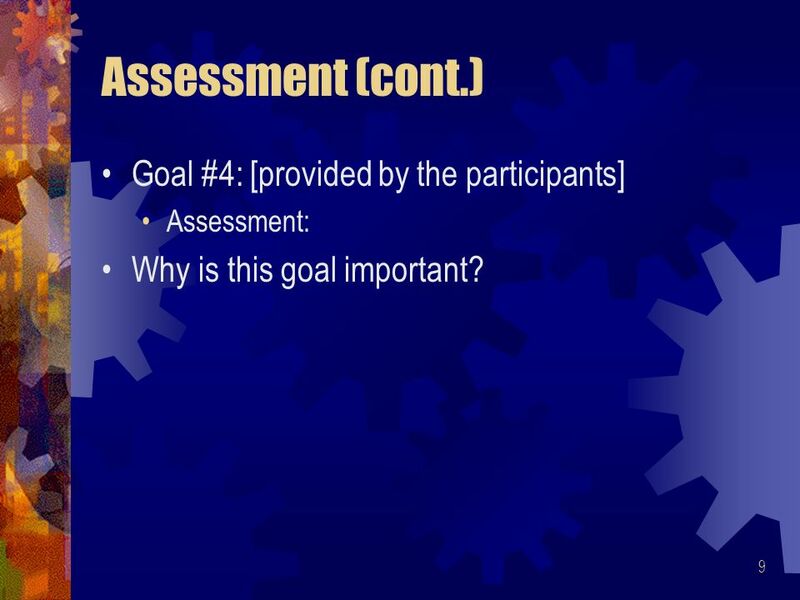 Goal #4: [provided by the participants] Assessment: Why is this goal important? 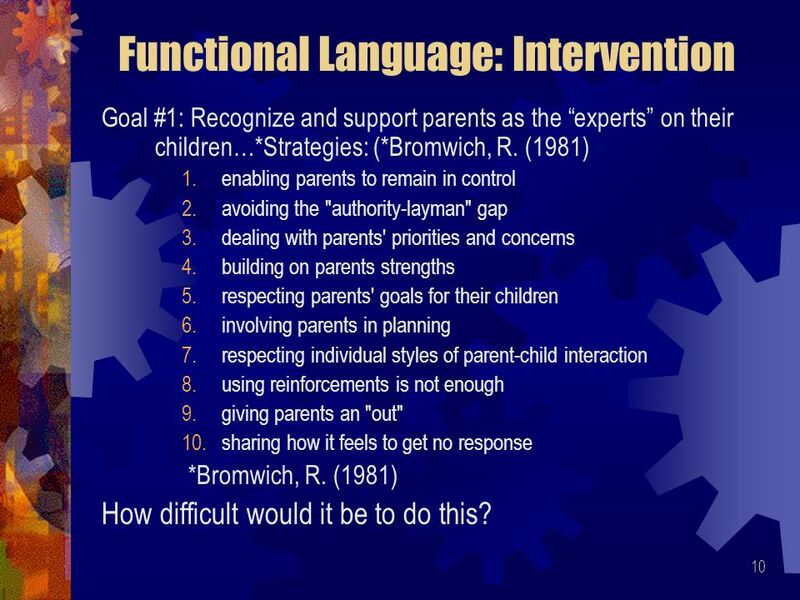 10 10 Functional Language: Intervention Goal #1: Recognize and support parents as the experts on their children…*Strategies: (*Bromwich, R. (1981) 1.enabling parents to remain in control 2.avoiding the "authority-layman" gap 3.dealing with parents' priorities and concerns 4.building on parents strengths 5.respecting parents' goals for their children 6.involving parents in planning 7.respecting individual styles of parent-child interaction 8.using reinforcements is not enough 9.giving parents an "out" 10.sharing how it feels to get no response *Bromwich, R. (1981) How difficult would it be to do this? 11 11 Intervention (cont.) 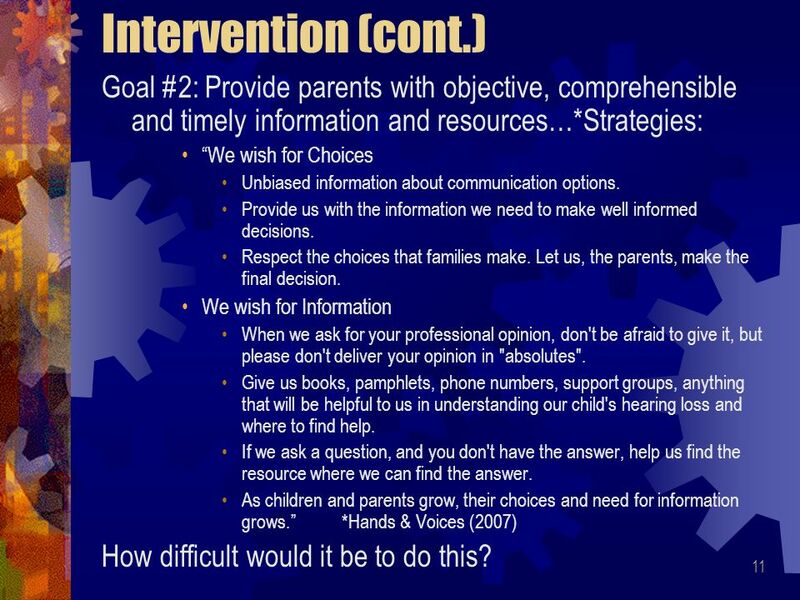 Goal #2: Provide parents with objective, comprehensible and timely information and resources…*Strategies: We wish for Choices Unbiased information about communication options. Provide us with the information we need to make well informed decisions. Respect the choices that families make. Let us, the parents, make the final decision. We wish for Information When we ask for your professional opinion, don't be afraid to give it, but please don't deliver your opinion in "absolutes". 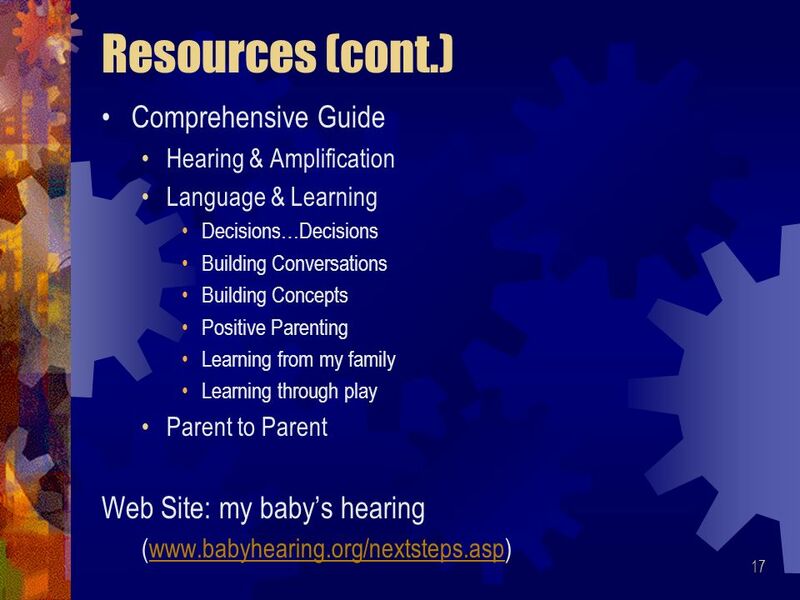 Give us books, pamphlets, phone numbers, support groups, anything that will be helpful to us in understanding our child's hearing loss and where to find help. If we ask a question, and you don't have the answer, help us find the resource where we can find the answer. As children and parents grow, their choices and need for information grows. *Hands & Voices (2007) How difficult would it be to do this? 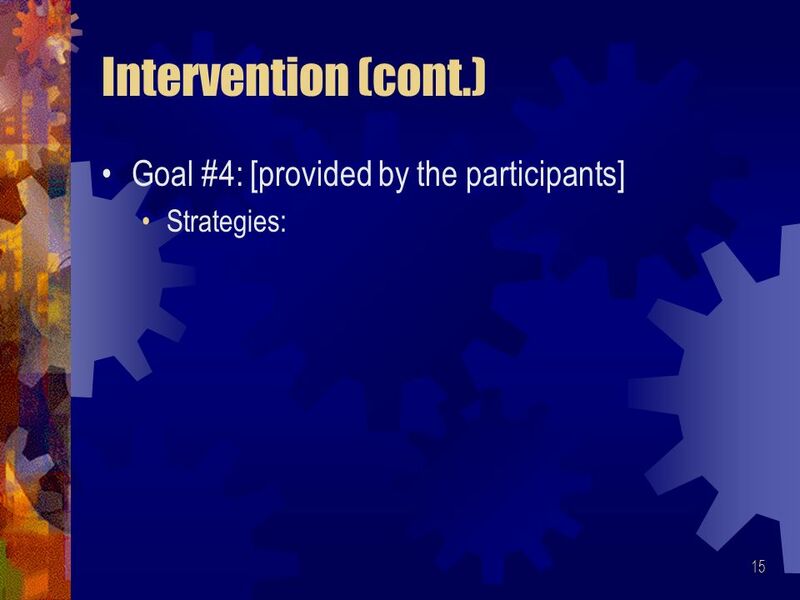 14 14 Intervention (cont.) Goal #3: Strategies (cont.) 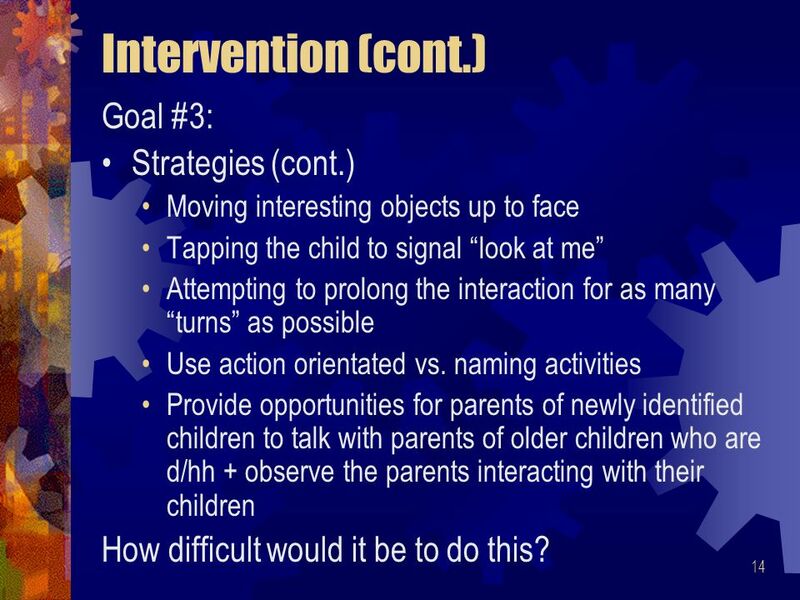 Moving interesting objects up to face Tapping the child to signal look at me Attempting to prolong the interaction for as many turns as possible Use action orientated vs. naming activities Provide opportunities for parents of newly identified children to talk with parents of older children who are d/hh + observe the parents interacting with their children How difficult would it be to do this? 19 19 Resources (cont.) 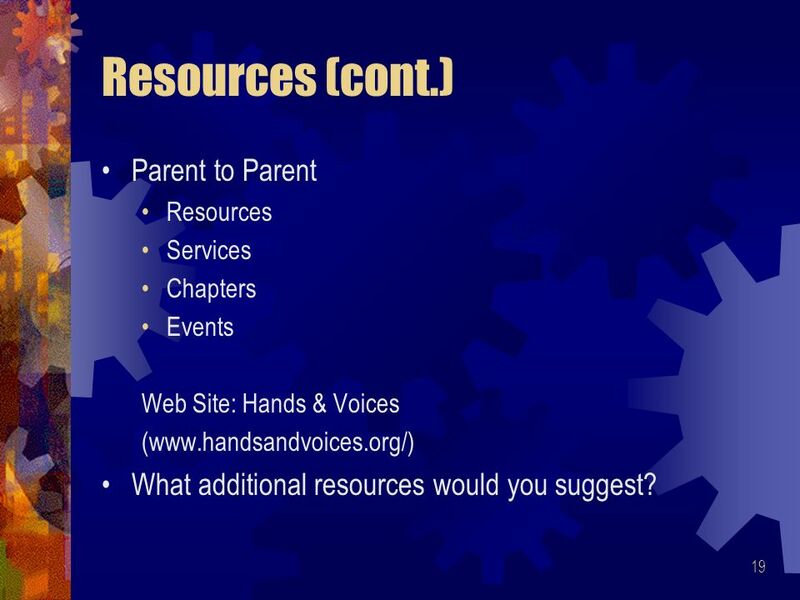 Parent to Parent Resources Services Chapters Events Web Site: Hands & Voices (www.handsandvoices.org/) What additional resources would you suggest? 20 20 References Bromwich, R. (1981). 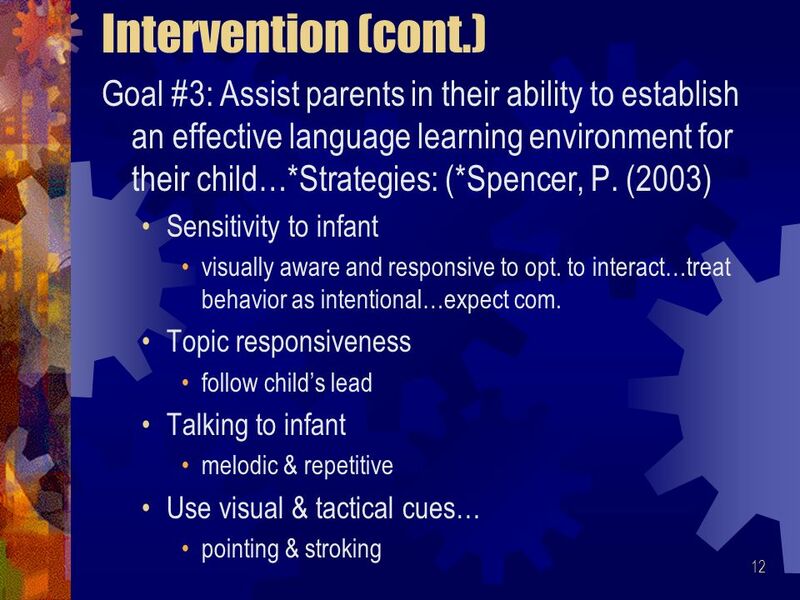 Working with parents and infants: An interactional approach. University Park Press: Baltimore, MD. Hands & Voices (nd). Early intervention: The parent perspective. 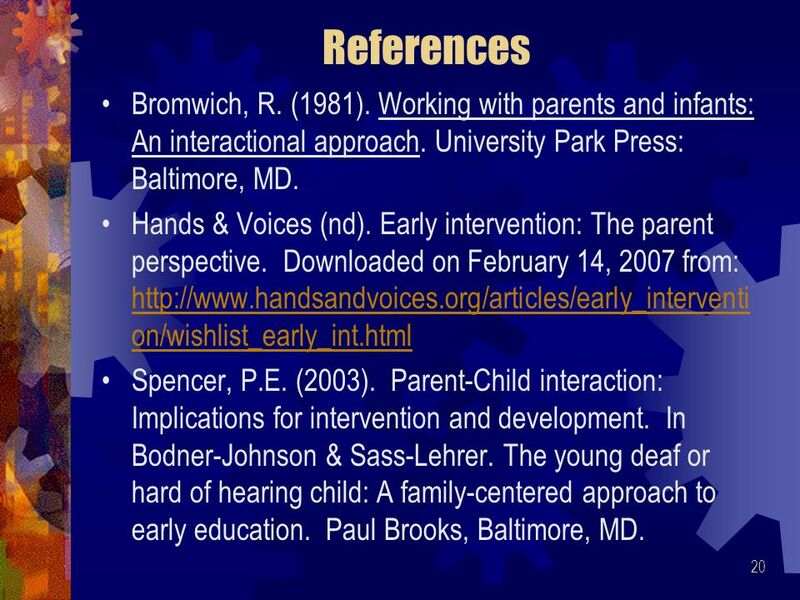 Downloaded on February 14, 2007 from: http://www.handsandvoices.org/articles/early_interventi on/wishlist_early_int.html http://www.handsandvoices.org/articles/early_interventi on/wishlist_early_int.html Spencer, P.E. (2003). Parent-Child interaction: Implications for intervention and development. In Bodner-Johnson & Sass-Lehrer. 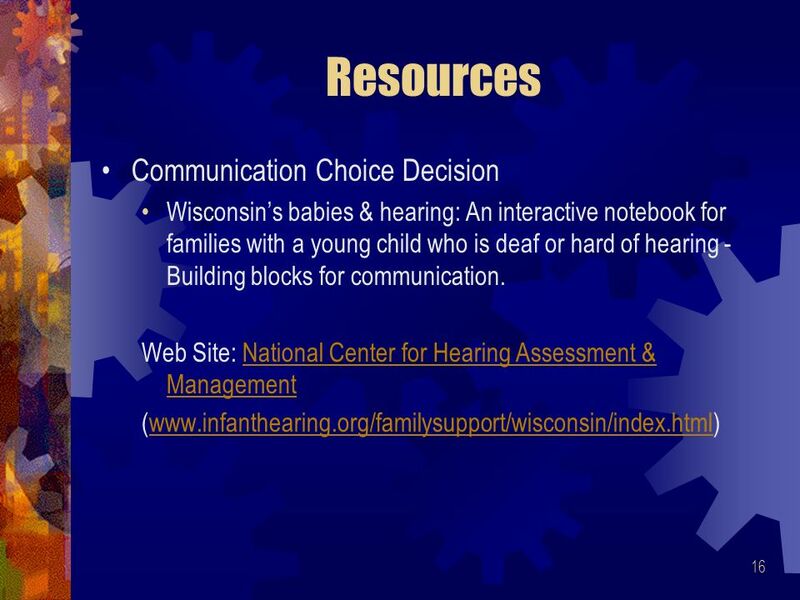 The young deaf or hard of hearing child: A family-centered approach to early education. Paul Brooks, Baltimore, MD. 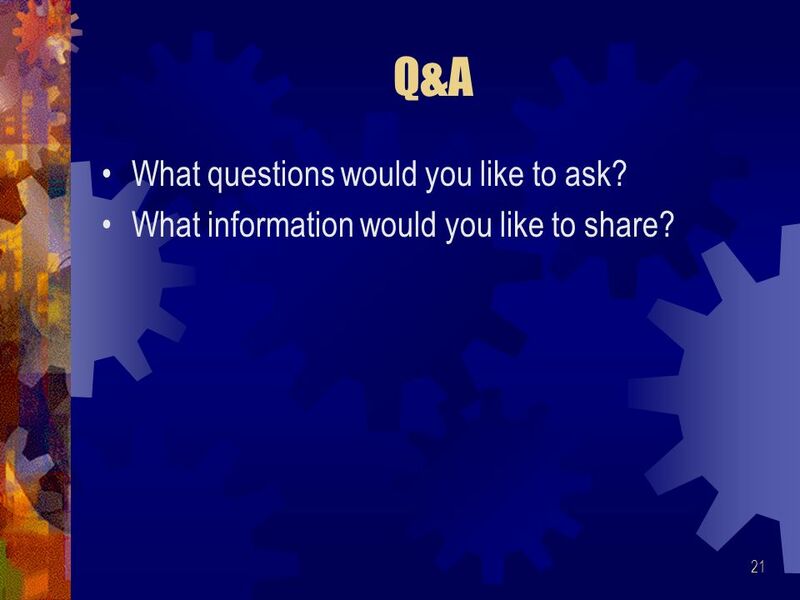 21 21 Q&A What questions would you like to ask? What information would you like to share? 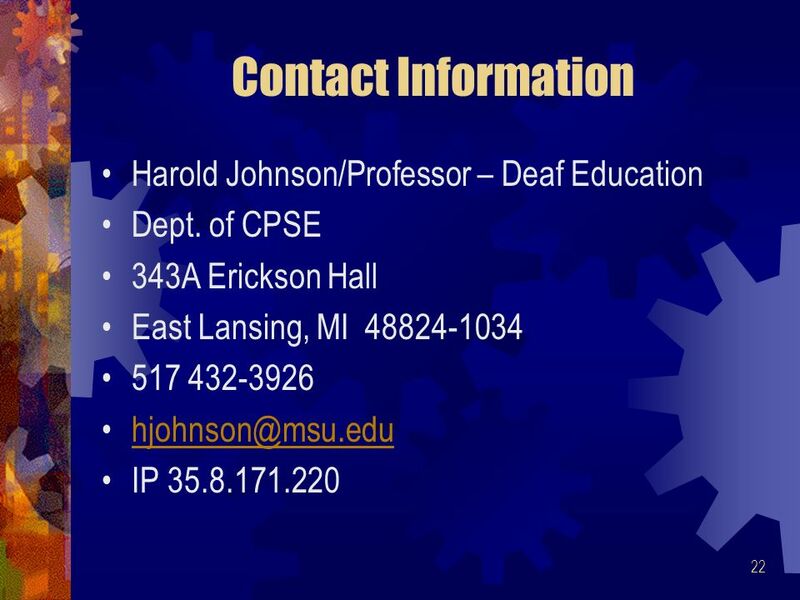 Download ppt "1 A Functional Approach to Language Assessment, Intervention & Parent/Professional Interactions By Dr. Harold Johnson/Michigan State University 2007 Michigan." Ethical Justice Chapter Three: Criminal Justice Educators - Ethical Issues in Teaching. Parent Power n POW! n Unfortunately, the diagnosis is unfair, unpleasant, unwanted and cannot be undone. But, it must be dealt with... –Atkins, 1994. 1111 National Centre for First Nations Governance rebuilding our nations Facilitation Techniques.